In April the Panama-based law firm, Mossack Fonesca, made international headlines after thousands of its clients’ confidential documents were made public. 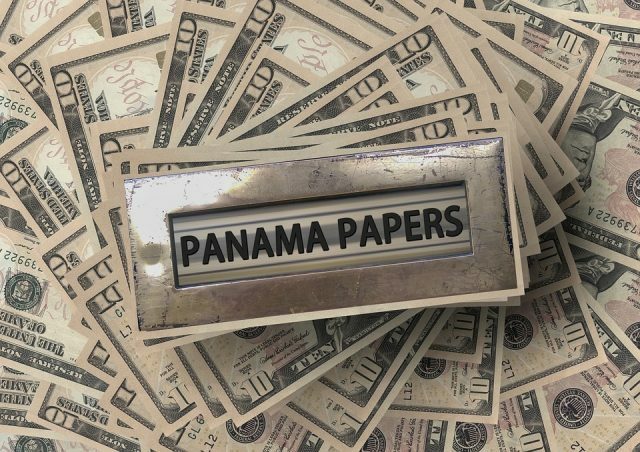 Recently, another release of the Panama Papers by the International Consortium of Investigative Journalists revealed a scandal involving officials from the Algerian government and an Italian energy company, Saipem. The leaked documents allege the energy company won contracts worth more than US $10 billion to build oil and gas pipelines from the North African desert to the shores of the Mediterranean after moving US $275 million in bribes through offshore companies. The offshore companies were created by Mossak Fonesca. Other leaked documents revealed more than 1,400 companies who have mining or resource extraction interests in 44 African countries. These companies own, hold or do business with petroleum, natural gas and mining operations and show how tax havens are being used to exploit Africa’s natural wealth. The documents also named former Mossack Fonseca clients from Africa’s largest economy, Nigeria, including three oil ministers, senior national oil company employees, and two former state governors who have been convicted of laundering oil-tainted wealth. Why does this matter? Because the United Nations Economic Commission for Africa (UNECA) estimates that the continent is losing US$50 billion to illicit dealings like the ones that Mossack Fonseca facilitates. This is money that Africa desperately needs to build schools, hospitals, provide clean water and sanitation. Millions of Africans still live in extreme poverty with the United Nations estimating that more than half of the adult population in Sub-Saharan Africa is experiencing food insecurity. Africa alone cannot solve this challenge, it is a cancer that has affected the whole global system and needs a global approach to address. The recent London Anti-Corruption Summit was a good building block in trying to find solutions to corruption and illicit deals. Several countries including Nigeria, Ghana, United Kingdom, France, Brazil and South Africa made commitments to implement anti-corruption and anti-money laundering mechanisms. This is a decent start to the efforts needed. Transparency in private and public transactions is critical to bring light to opaque and secret dealing being facilitated by firms like Mossack Fonseca. Hidden company ownership has broader ramifications. The Panama Papers show the use of anonymous company structures to hide the true ownership of natural resource concessions, opening up the possibility of conflict of interest or outright bribery. Knowing who actually owns and controls a company not only ends secrecy but also creates a level playing field for businesses and law enforcement agencies are able to follow unscrupulous money. What the Panama Papers provide is just a snippet of the secret dealings individuals and companies are carrying out to syphon Africa’s resources. The global community and all of its institutions must take the necessary steps to eliminate secrecy jurisdictions, introduce transparency in financial transfers and crack down on money laundering. Until all countries begin to work together to combat this problem in all its forms there will always be a cavernous opportunity for the exploitation of tax laws at all levels and in all countries for negative purposes.